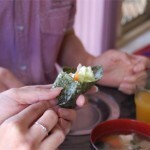 The other day I invited friends to enjoy temaki-sushi (hand-rolled sushi). 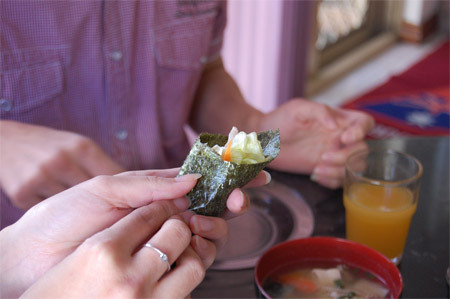 Temaki sushi is popular to eat at home because of its easy preparation. You prepare the materials, and just let people make/eat it themselves. What type of food to prepare is really up to you. 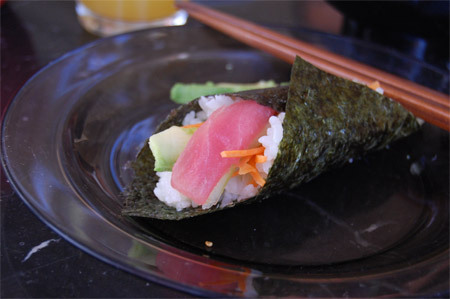 You can add any vegetables you like, or try on sushi. In my case, I cut carrots and cucumber into jullienne, and arranged lettuce, snowpea sprouts, avocado on a plate. For meat, I cooked chicken thigh (teriyaki style) and sliced. 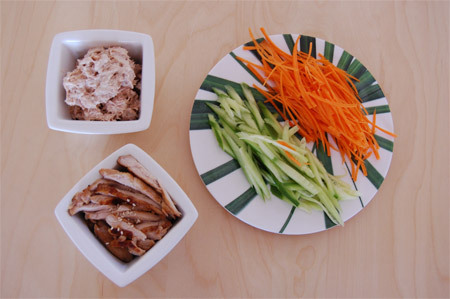 I also prepared tuna (mix tinned tuna with Japanese mayonnaise, drops of soy sauce and wasabi paste). Sliced Unagi (roasted eel) and fresh tuna too. 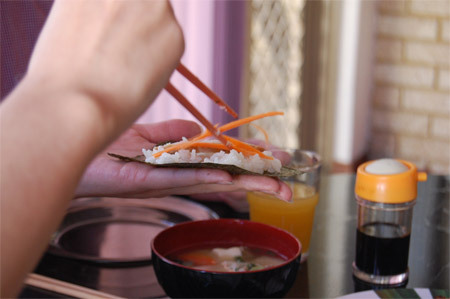 Cook short grain rice, and season with Sushi Su (sushi vinegar) while the rice is hot. 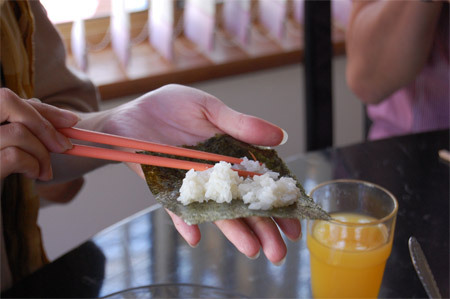 Try not to mix the rice too much, we don’t want the rice to be very sticky and like paste. Let it cool. 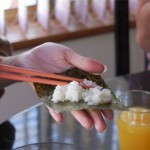 Cut Nori Sheet (seaweed sheet) into 1/4, arrange on a plate. Now, you arrange all the plates on a dining table, and let the party begin. 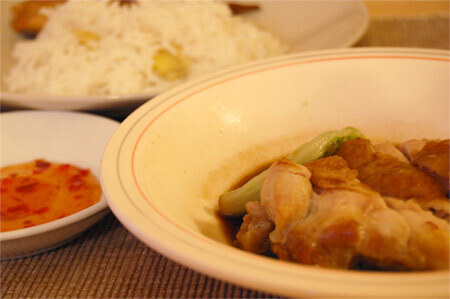 Asian flavored chicken with fragrant rice recipe. The scent of ginger really whets an appetite. Enjoy with an extra sweet chili sauce on the side. Wash rice and put in a rice cooker. Pour chicken stock and sliced ginger. Level the surface, and cook. Mix sake, soy sauce and sesame oil together. Steam bok choy or Chinese cabbage. Chop spring onion. Place sliced chicken on a plate and pour the sauce 3. Serve with bok choy / cabbage and top with spring onion. 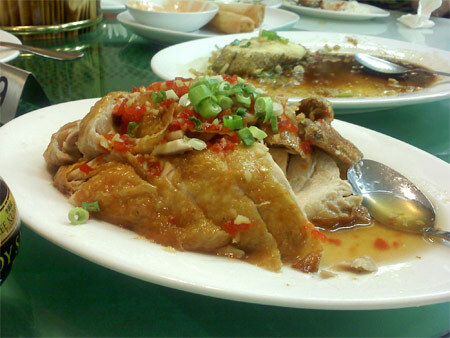 Enjoy with sweet chili sauce if you like. Heat up water and add dashi powder. Turn down the heat, and add sake and soy sauce. Keep warm. 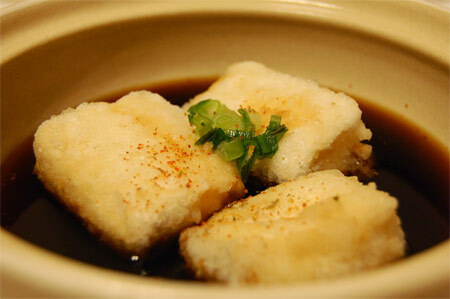 Cut tofu into about 5cm cubes. Coat with corn flour and shake off any excess flour. Deep fry until nicely crispy. 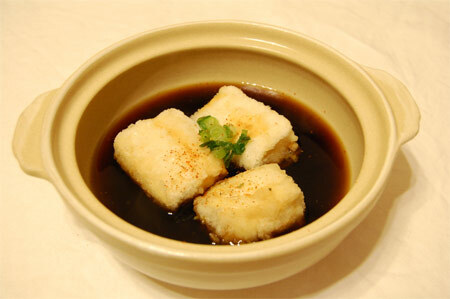 Immerse the tofu into the sauce and eat immediately. 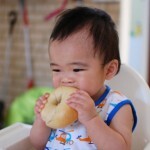 Slice bagel and toast. 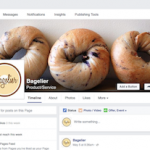 Mix pesto and mayonnaise, and spread onto the bagel. 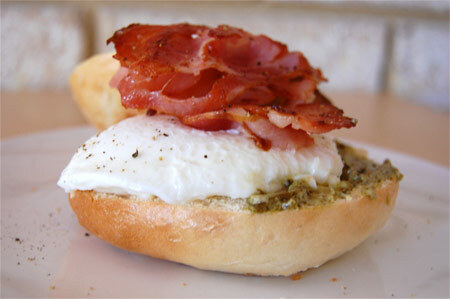 Drain egg and arrange on the bagel, top with crispy bacon and freshly cracked black pepper. 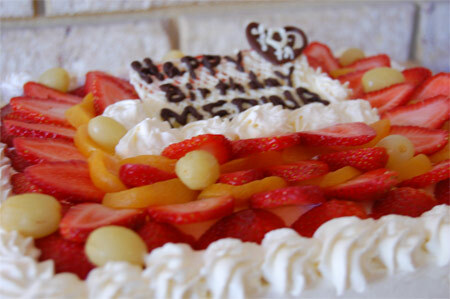 I like making cakes. 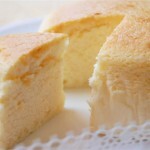 At my house in Japan we didn’t have proper oven, but I was using rice cooker to bake sponge every time. Japanese rice cooker sure is a multi-skilled machine! 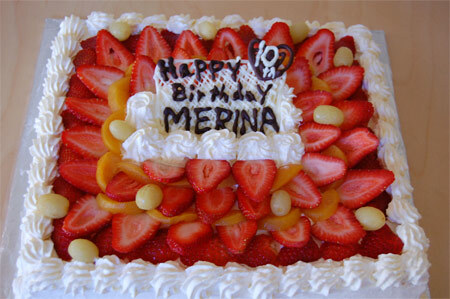 Anyway, they were happy with this cake, so I’m glad. Yaki-soba is Japanese style stir-fried egg noodle (thin). 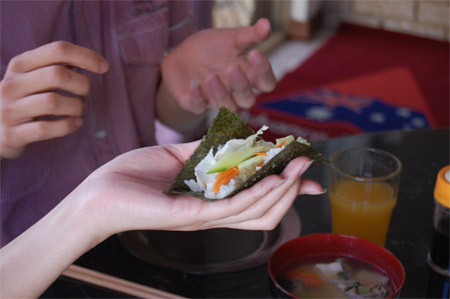 It’s usually cooked with thinly sliced pork, onion, carrot and cabbage, and topped with ao-nori and bonito flake, then served with red pickled ginger. 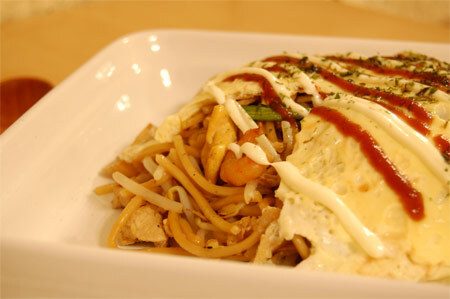 We use yakisoba sauce which you can easily buy from supermarket in Japan. The sauce is quite exensive in Asian grocery shops in Perth, so I normally season the noodle by myself. Heat 1 tbs of oil in a frying pan. If you are using thinly sliced pork, cook the meat first. If you are using some other meat/seafood, saute sliced onion and carrot, then add meat/seafood. Season with salt&pepper. Add roughly chopped cabbage. Stir-fry for about 1 min, and add yakisoba noodle. 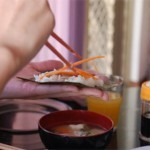 Try to loosen up the noodle with chopsticks, and drop 1~2 tsp water. Stir, turn down the heat and cover with lid. Once the water is absorbed into noodle, take off the lid and turn the heat to medium. Pour the sauce and stir-fry. Season if required, and set aside. In another frying pan, cook thin omelet. Turn off the heat. 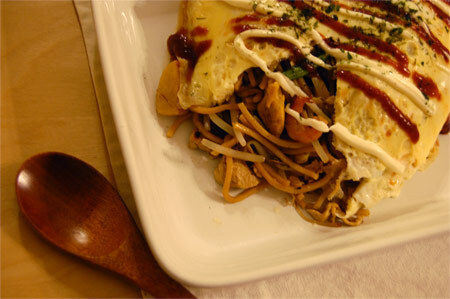 Place yakisoba noodle onto the omelet. Place a plate on the top of frying pan (the serving side down), and flip it around. Curl the edge of omelet in and completely wrap up yakisoba. Drizzle mayo, tomato sauce and sprinkle ao-nori. This morning was raining, but the sun was out. In Japan we call this weather (sunny and raining at the same time) “Fox Wedding”. The origin for this, I think, is because of a Japanese old tale. In Japan, foxes and raccoons are depicted as the epitome of deception, able to transform into any shape or form it strategically desires. 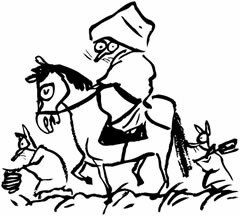 There are many tales about foxes/raccoons tricking people in Japan. So, if it rain while sun is out, it’s obviously strange and people thought “ah, foxes are trying to trick us again!”. By the way, the weather “snowing and raining at the same time” is called “raccoon’s wedding”. Talking about seafood, I really loved Honey Prawn at Yu (Burswood Entertainment complex). The prawn was reasonably big, and juicy. Now, swine flu is getting serious around Osaka area, and some of the schools around Kansai are closed. I’m from Shiga, and I was telling my family “don’t go to Osaka, Kyoto area!” but seems that there’s one person who is suffering from swine flu in Shiga (Otsu) already! 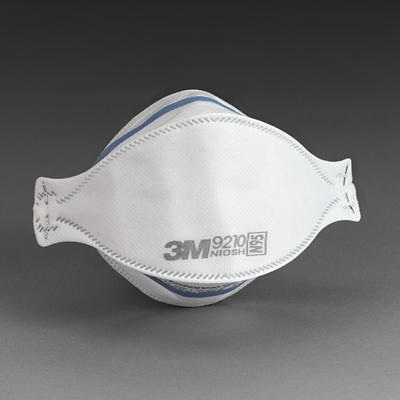 Now, because of the flu, masks are selling like hot cakes. Lots of shops are out of stock… even amazon.jp sold out masks! Mask has the biggest demand in Japan right now! I don’t usually wear mask even in Japan (because I don’t have hay fever), but if I go back to Japan right now I’ll be wearing mask everyday everywhere! The combination of condensed milk and cheese was actually little shocking to me at first. To me, toasted bread with cheese is supposed to be savory, not sweet. 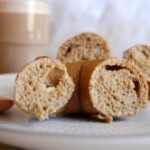 I was told this recipe from my hubby. 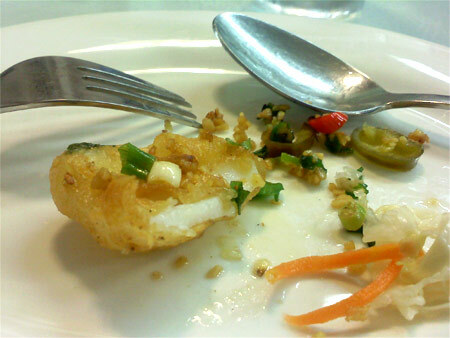 He said this dish is very common in Indonesia… I tried it anyway, and it tasted actually good! Nice snack when you feel like some sweet stuff. Spread peanut butter on one slice, and sandwich. 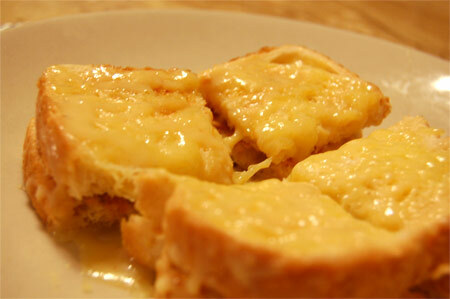 Top with grated tasty cheese, and drizzle condensed milk over. Melt the cheese in oven toaster or microwave. Toast 1 slice of bread. Top with grated tasty cheese. Melt the cheese in oven toaster or microwave. Arrange sliced banana on the top, and drizzle condensed milk over. In Indonesia there’s a food called “Martabak“. This Martabak can be both sweet and savory. I love “Cheese and Condensed Milk Martabak”, and “Chocolate Martabak”. At Martabak stalls in Indonesia we can see how they make Martabak, and I know how much butter is used in there…. So I can’t eat lots of them even though they taste really nice!